- DOWN TO A TEE! Our sister company Tailor-Made Scotland offers Golf Tours of Scotland. Moss Golf Tours is the trading name of Tailor-Made Scotland a Scottish registered company (SC248301). 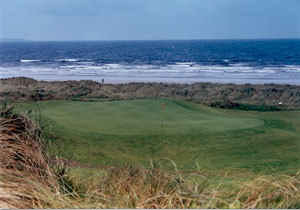 Ireland is a wonderful place to play golf with over 400 golf courses on the island. Tailor-Made Golf Tours is a golf holiday company owned and operated by three avid golfers. We have played most of these courses and have chosen only those that offer the best golf holiday experience. Your Irish golf holiday package could not be simpler - just follow the steps below. Alternatively go straight to the Tailor your Golf Holiday section and complete the enquiry form or simply e-mail us directly at golf@tailor-madetours.com with the details of your requirements. 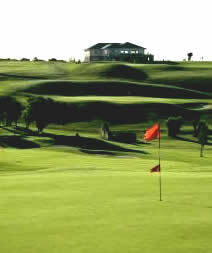 Look at the Golf Courses section to choose the great value golf courses your group would like to play. Choose any courses from any regions and let us know if you would like details of other courses that haven't made it to our list. Do you want to travel around or stay in the one place? Which towns sound most appealing to stay in? The Ireland Golf Tours section provides a number of different tour option examples. Discover the value difference we can bring by using our online cost calculator. Take 5 minutes to complete our initial golf holiday enquiry form. We will respond within 24 hours with a preliminary itinerary and no-obligation quote for your tour. Use our quick golf holiday advice form if the details of your tour are not fully finalised. We want you to have a great holiday. Once you have received the preliminary itinerary we will work closely with you on the details until we are happy that every detail has been covered. It's part of our difference. While you are waiting for your preliminary itinerary visit our Golf Holiday Information section. This provides general Irish travel and golf specific information. Please also read our Terms and Conditions.